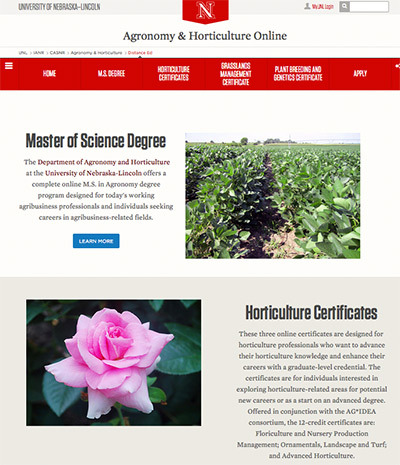 (Lincoln, Neb) - The Distance Education Committee in the Department of Agronomy and Horticulture at the University of Nebraska-Lincoln is pleased to announce its new website: agrohortonline.unl.edu. The Distance Education program in the Department of Agronomy and Horticulture offers an online Master's of Science (M.S.) degree in Agronomy, three Horticulture graduate certificates, one Grasslands Management graduate certificate and one Plant Breeding and Genetics professional certificate. The department's faculty and staff also work closely with the College of Agricultural Sciences and Natural Resources (CASNR) to advise students and support the Master's of Applied Science (M.A.S.) in Horticulture. For more information about the online Agronomy and Horticulture programs, visit the new website, or please contact Kathy Schindler or Leah Sandall. UNL Extension Turfgrass Specialist Bill Kreuser discusses N (nitrogen) sensors at the 2014 field day. 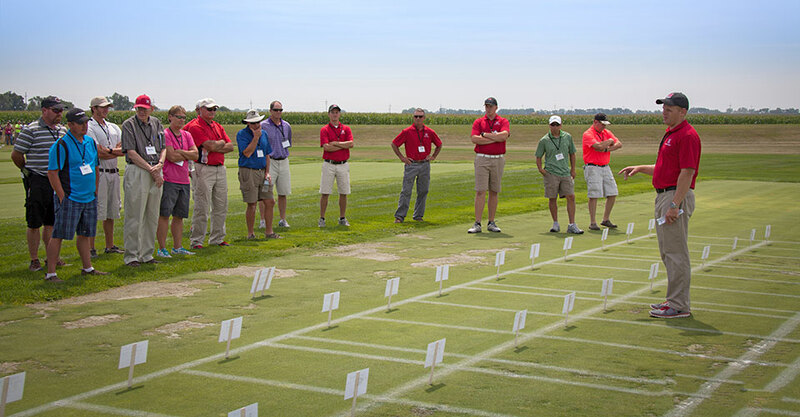 The 2015 University of Nebraska Turfgrass Research Field Day will offer sessions on a wide range of topics for all turf managers. The event will be held July 22 from 8 a.m. to 3 p.m. at the John Seaton Anderson Turf Center near Mead, Neb. Preregister for the field day at turf.unl.edu. Morning sessions will include research presentations on nutsedge control, seeding into preemergence herbicides, turf improvement through breeding, turf desiccation, modern tools to maximize water use, ways to incorporate amenity grasses into your landscapes and how to use inexpensive Unmanned Aerial Vehicles (drones) to aid scouting, decision-making and communication with your clients. A golf/sports turf tour and a lawn management tour will be offered in the afternoon. The golf/sports turf afternoon session will cover topics including winter desiccation prevention and recovery, Plant Growth Regulator Growing Degree Days models, use of colorants under different growing environments (drought versus shade), iron deficiency and iron fertilizer safety and even Bermudagrass viability in Nebraska. The afternoon grounds/lawn care sessions will focus on lawn height diseases, tall fescue cultivar National Turfgrass Evaluation Program reports, preemergence herbicides, mowing optimization, and buffalograss traffic tolerance. Visit turf.unl.edu for more information. 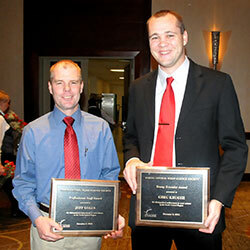 Ben Loseke, agronomy and horticulture doctoral student advised by Dr. Paul Read and department research technologist, was awarded one of the 2015 American Society for Enology & Viticulture Scholarships. The ASEV annually awards scholarships to students pursuing a degree in enology, viticulture, or in a curriculum emphasizing a science basic to the wine and grape industry. Loseke has been invited to attend the annual meeting in Dunkirk, N.Y. this summer. 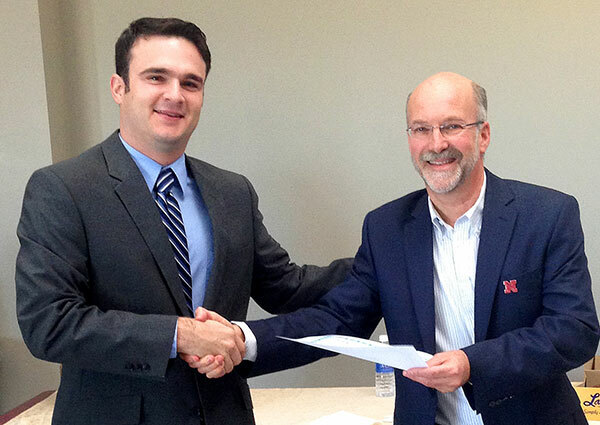 Rodrigo Werle (left) is awarded a Milton E. Mohr Fellowship from Daniel Schachtman. Agronomy and Horticulture students were recently honored with Milton E. Mohr Program awards for 2015-2016. 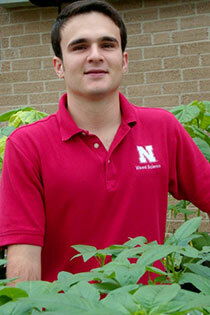 Rodrigo Werle, a weed science graduate student advised by Professor John Lindquist, was awarded a fellowship. Undergraduate students Quinn Charling, Shiyi Feng, Jared Seier, and Josh Wehrbein were awarded scholarships. The Milton E. Mohr Awards Program recognizes outstanding students, in the sciences of biotechnology and engineering, based on their academic performance and potential for accomplishments in their specific field. The Milton E. Mohr Scholarship and Fellowship Awards Program was established in 1989 for students in the College of Engineering or biotechnology degree programs. The scholarships and fellowships are made possible through an endowment to the University Foundation. See all recipients. 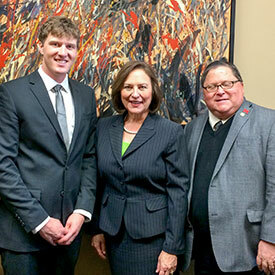 Stephen Gamet, research technologist in the UNL Viticulture Program, was presented with the C.J. Schweitzer Award at the Nebraska Wine and Grape Growers Forum and Trade Show annual banquet on March 7, 2015. Gamet received this award from the University of Nebraska Viticulture Program and The Nebraska Wine and Grape Growers Association for his contributions to the wine and grape industry in Nebraska. C. J. Schweitzer was one of the Founders and Charter Members of the NWGGA. It was his drive and dedication that was instrumental in starting the NWGGA and how it operates today. Schweitzer's death in 2002 left big shoes to fill and in honoring his dedication and commitment to the grape and wine industry in Nebraska the NWGGA established this award. We are pleased to announce the winners of this year's Agronomy and Horticulture Photo Contest. Congratulations to this year's winners: Brad Goetsch, Iqbal Singh and Adarsh Gupta Kasamsetty. Their photos will be printed and framed for display in either Keim Hall or Plant Sciences Hall. Thanks to everyone who participated, whether it was submitting a photo or voting. Even if your photo didn't win this time, remember that it's never too early to start taking photos for the Tenth Annual Agronomy and Horticulture Photo Contest! See winning photos through the years at http://agronomy.unl.edu/Photo-contest-winners-through-the-years. For the full listing of all 85 faculty promoted see UNL Today. An international team led by UNL researchers has published the first systematic guidelines for using data to more reliably simulate crop yields. The guidelines could apply to any crop model used for estimating gaps between potential vs. actual yields, assessing a country's ability to feed its population, and predicting the impacts of changes in climate or land use. By accounting for various levels of data availability and quality, the team's guidelines attempt to reflect agricultural realities while still addressing a long-standing need for practical and consistent standards, UNL agronomist Patricio Grassini said. Continue reading at UNL Today. 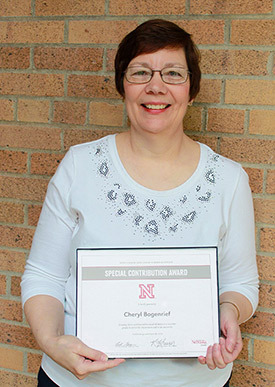 The Agronomy and Horticulture Staff Advisory Committee presented the first 2015 SAC Special Contribution Award of $250 to Cheryl Bogenrief at the department's Spring Potluck. This award honors those who have gone above and beyond their usual job duties in a way that greatly benefits the department and/or the university. Bogenrief was honored because she takes the time to thoroughly explain the purchasing processes and provides relevant, timely, and accurate information. She goes above and beyond her usual job duties in a way that greatly benefits the department and those within. Bogenrief has worked for the HAPPI Business Center for over six years. SAC presents two $250 Special Contribution Awards each calendar year. These awards are available to any Agronomy and Horticulture permanent staff member beyond the initial probationary period of employment. Deadline for the second 2015 SAC Special Contribution Award is Oct. 30 and will be presented at the department Christmas lunch. Please submit nominations to Katie Kreuser, 362 Plant Sciences Hall or at kking19@unl.edu. A University of Nebraska-Lincoln rangeland ecologist is among the co-authors of a study published in Science that has quantified land use change and the reduction of ecosystem and cropland productivity stemming from large-scale expansion of oil and gas development. Dirac Twidwell, an assistant professor in UNL's Department of Agronomy and Horticulture, is among the authors of the paper, which was published April 23 in the journal. The research concludes that oil and hydraulic fracturing operations have contributed to significant vegetation loss across broad swaths of central North America. UNL Today. 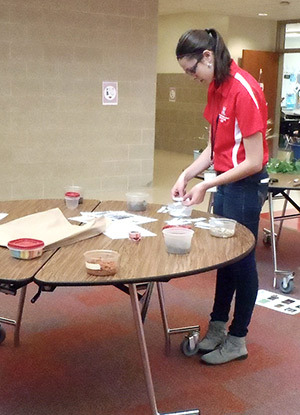 Megan Franklin, freshman plant biology major, along with advisors Dr. Dennis McCallister and Dr. Martha Mamo visited Kloefkorn Elementary School in Lincoln April 17, engaging 80 first-grade students about soil. Franklin's honors project was to develop hands-on activities and visuals to demonstrate the key concepts about soil for the first-grade students. Using concepts and information she learned from the AGRO153 Soil Resources course, Franklin created learning activities on the types of plant roots and how they effect the soil, how different types of soil absorb water, organisms in the soil and where the five soil types belong on a world map. Franklin enjoyed all aspects of her project especially the enthusiasm of the first-grade students. Jim Specht, emeritus professor of agronomy and horticulture, was recently honored with two prestigious and highly competitive awards. The American Soybean Association honored him with the Special Meritorious Service Award at the annual ASA Banquet during the 2015 Commodity Classic in Phoenix. He also received the Louise Pound-George Howard Distinguished Career Award from the University of Nebraska-Lincoln Faculty Senate during the UNL Honors Convocation on April 12, 2015. The ASA's Special Meritorious Service Award honors individuals who served the soybean industry above and beyond the ordinary and devoted a major portion of their career to the soybean industry in any field. 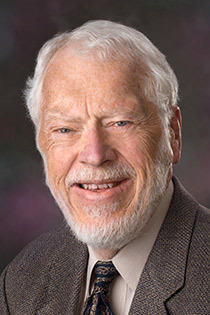 Specht's work led to major advancements in the soybean industry, including findings that an earlier planting date was crucial to achieving higher soybean yields. He was instrumental in DNA sequencing for generating higher seed yields and a leader in water management research and soybean yield response. The University of Nebraska-Lincoln Faculty Senate established the Louise Pound-George Howard Distinguished Career Award in 1990 to recognize individuals with a distinguished career of service to the University of Nebraska. This award is conferred upon an individual who, during his or her career at UNL, has made an exceptional contribution to the university. The individual's contribution may have been made through teaching, research, public service, administration, or a combination of these factors and reflects a long-standing commitment to the University. Fischer, R-Neb., in Washington, D.C. The American Society of Agronomy, Crop Science Society of America, and Soil Science Society of America selected the 2015 ASA, CSSA, and SSSA Future Leaders in Science Award. Zach Stewart was one of 18 graduate students who received the award in recognition of his engagement in science advocacy. Award winners received a trip to Washington, D.C. to participate in the annual ASA, CSSA, and SSSA Congressional Visits Day, where they met with their members of Congress and advocated for agricultural and environmental research. Zach Stewart is a Ph.D. student in Agronomy at the University of Nebraska-Lincoln under the supervision of Dr. Charles Shapiro. His current research is evaluating the effect foliar micronutrient treatments and nanoparticles have on the biofortification and yield of corn. 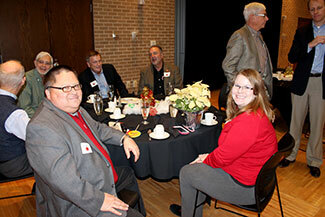 The Agronomy and Horticulture Graduate Student Association Annual Appreciation Banquet was held Thursday, April 2, 2015 at the University of Nebraska-Lincoln Lied Commons. The annual banquet is an opportunity to honor the many accomplishments and achievements of students, faculty and staff throughout the past year. The evening was highlighted with a great meal, the keynote speaker, club presentations, a silent auction, and award presentations. The keynote speaker was Dr. Sally Clayschulte, North American Wheat Breeding Manager at Bayer CropScience. She spoke about team development and working with local and international teams. Congratulations to Bradley Meusch in receiving the Martin Massengale Outstanding Senior award. Grace Troupe was recognized for her valuable contributions and accomplishments to the UNL Agronomy and Horticulture Graduate Student Association and Department of Agronomy and Horticulture. Bradley Meusch receives the Martin Massengale Outstanding Senior award from Martin Massengale. Grace Troupe is honored for her valuable contributions to the UNL AHGSA and Department of Agronomy and Horticulture. Agronomy professor Martha Mamo has been awarded the Outstanding Teaching and Instructional Creativity Award from the University of Nebraska. The OTICA recognizes individual faculty who have demonstrated meritorious and sustained records of excellence and creativity in teaching. Mamo's courses in the College of Agricultural Sciences and Natural Resources have been credited with inspiring student interest in soil sciences. Among colleagues, Mamo is known as an educator willing to share teaching tips that lead to changes in other faculty classrooms. She is also a successful researcher, having secured funding for studies on sorghum production systems in Africa and she co-developed a global food security course. Mamo teaches instructional efforts with farmers in Ethiopia and is currently developing online lessons in earth and environmental sciences. See more award recipients at UNL Today. You've probably seen an example of a TED talk. Now CASNR students have an opportunity to create one themselves for PEDology Talks. Pedology is the study of soils in their natural environment. The Soil Science Society of America is sponsoring a competition around the 12 themes of the 2015 International Year of Soil. The audience for the talk will be the educated general public - those interested in science, college graduates, or those who work in non-science fields. CASNR is holding a local competition. One undergraduate student entry and one graduate student entry from CASNR will be selected and submitted to the SSSA headquarters for the national competition and receive $100. The top-ranked entry selected by SSSA will be invited to attend the 2015 SSSA Annual Meeting, to be held Nov. 15-18 in Minneapolis. The national winning entry will receive a $500 award from SSSA to support travel and other expenses. If the national winner is from UNL, the School of Natural Resources, the Department of Agronomy and Horticulture, and CASNR will cover any remaining excess travel expenses. The deadline for submission of a PEDology Talk video for local campus competition and judging is May 1, 2015, with winning entries notified by May 15, 2015. Contact Martha Mamo or Dennis McCallister with questions. 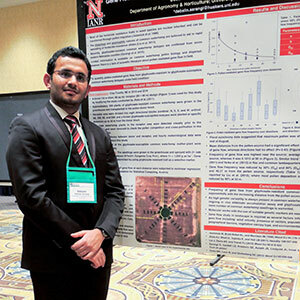 Two Department of Agronomy and Horticulture doctoral students were awarded top honors in poster and paper presentations at Weed Science Society of America meetings. At the 2015 WSSA meetings held Feb. 9-12 in Lexington, Ky., Debalin Sarangi won the graduate student poster presentation. His poster was titled "Gene Flow from Glyphosate-Resistant Common Waterhemp under Field Condition." Sarangi also received a WSSA graduate student travel award to attend the conference. He is advised by Amit Jhala. Rodrigo Werle, advised by John Lindquist, took third place in the graduate student poster presentation. His poster was titled "Modeling the evolution of shattercane resistance to ALS-inhibiting herbicides in an ALS-tolerant sorghum cropping system." At the 2014 North Central WSSA meeting in Minneapolis, Minn. in December, Werle won outstanding poster presentation with his poster titled "ALS-inhibiting herbicide dose and plant size influence the control of ALS-resistant shattercane populations." He took second for outstanding paper presentation. His paper title was "Current status of herbicide resistance in shattercane and johnsongrass populations from northern Kansas, eastern Missouri and southern Nebraska." Ronnie Janssen and SAC Chair Katie Kreuser. 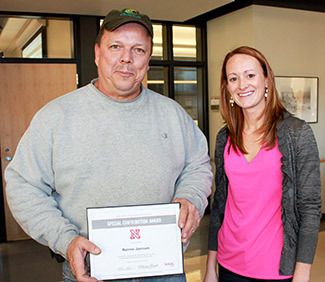 The Agronomy and Horticulture Staff Advisory Committee presented the second 2014 SAC Special Contribution Award of $250 to Ronnie Janssen at the department's annual Valentine's Party. This award honors those who have gone above and beyond their usual job duties in a way that greatly benefits the department and/or the university. Janssen was honored because of his willingness to go the extra mile to assist and support his colleagues, always with a friendly smile. 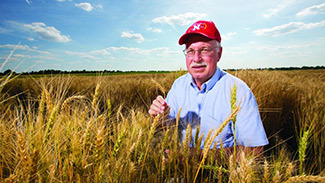 Janssen has worked for more than 25 years as a research technician at UNL. SAC presents two $250 Special Contribution Awards each calendar year. These awards are available to any Agronomy and Horticulture permanent staff member beyond the initial probationary period of employment. Deadline for the first 2015 SAC Special Contribution Award is April 3. Please submit nominations to Katie Kreuser, 362 Plant Science Hall or at kking19@unl.edu. The UNL Undergraduate Range Management Exam team took first place at the Annual Meeting of the Society for Range Management in Sacramento, Calif. Feb. 3. The team competed against 22 other teams from North American universities. Team members included Jake Drozda, Vicki Simonsen, Kyle Schumacher, Kyra Baldwin, Ethan Freese, Jeanna Jenkins, and Jestin Ochsner. Fisheries and wildlife major, Drozda, was recognized for placing fourth individually out of more than 160 students. The URME is a written exam covering all aspects of range management including rangeland ecology, range improvements, range regions, multiple use, inventory, and grazing management. 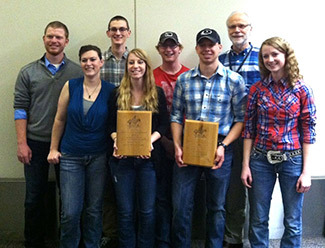 Eight undergraduate students belonging to the Range Management Club attended the annual meeting that ran Feb. 1-6. The students participated in the Range Plant Identification Contest, the Undergraduate Public Speaking Contest, the Undergraduate Student Paper Session and other student activities. The club adviser and URME team coach is Walter Schacht, professor, Department of Agronomy and Horticulture. A new study co-authored by UNL researchers has unearthed the genetic roots of resistance to a wheat disease that has recently devastated crop yields from southern Africa through the Middle East. Though reports of stem rust date back to biblical plagues and ancient Greece, plant breeders successfully combated the disease by introducing rust-resistant cultivars in the mid-20th century. Stem rust epidemics largely faded until 1999, when a mutated strain - Ug99 - emerged in the east African country of Uganda. Ug99 and its recent variants have toppled nearly all previously resistant genes. The rare holdouts include Sr2, found in an especially hardy wheat variety named Gage that was co-released by the University of Nebraska and the U.S. Department of Agriculture in 1963. Continue reading at UNL Today. What are you doing after graduation? This is an age-old question many University of Nebraska-Lincoln graduates are asked each spring. Horticulture major Erin Kinley is quick to answer - she's heading to the East Coast to fulfill a dream. Last week, Kinley was admitted into the prestigious Longwood Graduate Program in Public Horticulture, a joint program between Longwood Gardens in Kennett Square, Pa., and the University of Delaware in Newark, Del. The program teaches fellows to be leaders through a variety of experiential activities, travel and coursework. It is one of very few programs in the country for public horticulture, and the process to get admitted is highly competitive. Top candidates are chosen from a pool of applicants and invited to attend a three-day interview process. Kinley was one of 11 candidates to be invited for an interview. After which, five were chosen for admittance into the program. The only undergrad and the youngest of the candidates, Kinley was one of two candidates from the Midwest, and the only one with a farming background. This may have helped solidify her admittance, Kinley said, as she was able to present a really different viewpoint on the topics discussed with the eight-member selection committee. She gave her presentation on the role of public horticulture in localizing food production. Set to graduate this May with a degree in horticulture from UNL, Kinley says she's up for this new challenge. The two-year program will be rigorous - including participation in national garden tours, serving on boards and committees for other gardens in the area and touring horticulture industries in a foreign country. She expects to graduate in May 2017 with a Master's of Science in Public Horticulture and will be, according to Kinley, ready to pursue a new goal in her horticulture career. For more information on earning an undergraduate degree in horticulture from UNL, go to horticulture. For more information on Longwood Gardens go to http://longwoodgardens.org/ or the graduate program. Department of Agronomy and Horticulture assistant professor David Holding is passionate about plant molecular genetics and crop improvement and wants others to get excited about it too. On Saturday, Feb. 7, Holding gave a tour of the Beadle Center and the Center for Plant Science Innovation to a group of about 25 students and parents. "I was approached by parents of some of the students attending the Saturday Science event organized by UNL's Department of Physics and Astronomy and Lincoln Public Schools," Holding said. "They wanted to tour the Beadle Center too and I wanted to give them an opportunity to see and experience work and projects happening here." He was able to explain his work and its broader biotechnological and agronomic impacts. Students learned about DNA, mutants, breeding and biotechnology while participating in hands-on activities. "The kids were given the opportunity to make corn crosses and a quick DNA extraction from a corn plant," Holding said. 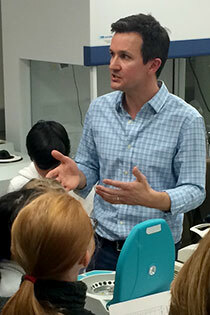 By coordinating with other departments, students and parents also toured Francisco Souto's printmaking studio in the Department of Art and Art History, and Sebastian Elbaum's drone lab in the Department of Computer Science and Engineering. It was a very successful inaugural arts and sciences event, according to Holding, and he hopes this will develop into an annual event to get younger students excited about art and science. 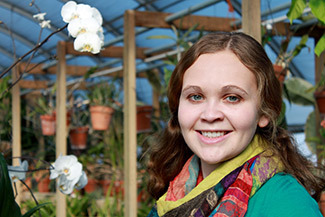 Katherine Frels, doctoral student advised by Steve Baenziger, was selected to represent the Department of Agronomy and Horticulture for the 2015 Gerald O. Mott Award. This award is offered by the Crop Science Society of America and recognizes meritorious graduate students in crop science. Frels was selected based on her academic achievements, research and teaching contributions, leadership accomplishments, service activities and personal qualifications. The award honors the first CSSA President Gerald O. Mott, who trained 75 graduate students during his 45-year career at Purdue University and the University of Florida. Recipients receive a certificate and are recognized in the CSA News. 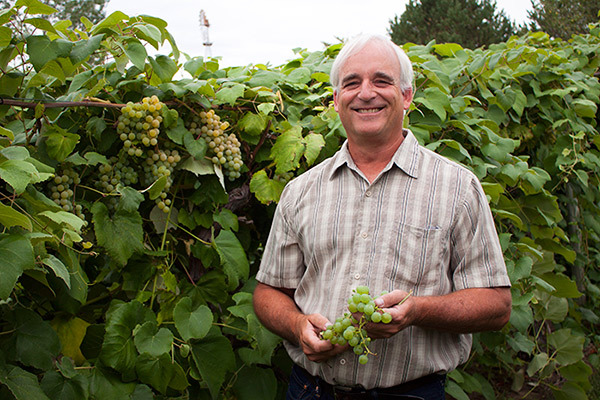 UNL professor Paul Read remembers a time when only one winery existed in Nebraska, and his passion for viticulture propelled him to start the very first wine and grape growers forum. That was 18 years ago. Today, Nebraska boasts 30 wineries, more than 100 grape growers, and numerous national and international wine awards of excellence. It is a testament, Read says, to the education and promotion provided by such events for the growing industry throughout the state. The 18th annual Nebraska Winery and Grape Growers Forum and Trade Show, sponsored by the University of Nebraska Viticulture Program and the Nebraska Winery and Grape Growers Association, will run March 5-7 at the Omaha Marriott. Featured speakers, particularly well known to the Midwest grape and wine industry, will share their advice on everything from growing grapes to marketing wine. 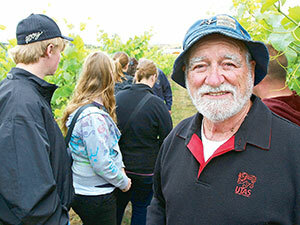 Read believes the annual forum and trade show has been instrumental in improved wine quality in the state. Continue reading at UNL Today. The study's researchers included UNL's James Specht, emeritus professor of agronomy and horticulture. Specht assisted lead researchers Spyridon Mourtzinis and Shawn Conley of the University of Wisconsin in developing and reviewing the study. U.S. farmers have increased soybean yields in the past 20 years by about a third of a bushel per acre per year, Specht said. Those gains, of about 0.8 percent a year, resulted from adoption of higher-yielding soybean varieties and improved farming methods. Continue reading at UNL Today. Six Department of Agronomy and Horticulture faculty were awarded certificates of recognition for contributions to students at the University of Nebraska-Lincoln Teaching Council and Parents Association annual recognition ceremony on Jan. 30. The awards provide positive feedback to campus faculty and staff about the work they do with students and to encourage good student/faculty relationships at UNL. The Parents Association solicits nominations through a mailing, asking parents to nominate a faculty or staff employee who has made a significant difference in their student's life. Honored Agronomy and Horticulture faculty include Stacy Adams, Associate Professor of Practice; Roch Gaussoin, Department Head; David Lambe, Associate Professor of Practice; Zac Reicher, Professor; Anne Streich, Associate Professor of Practice; and Kim Todd, Associate Professor. This was Adam's and Reicher's second award, Lambe's sixth, and Todd's ninth. More at UNL Today. Consuming even modest amounts of resistant starch can lend a significant punch to the gut microbes that benefit human health, according to a new study by University of Nebraska-Lincoln food scientists. As a type of carbohydrate that resists digestion in the small intestine, resistant starch passes to the large intestine and gets metabolized by a wide array of microbes residing there. The study's authors sought to increase levels of this starch in whole-wheat flour by subjecting it to seven cycles of cooking and freezing, which multiplied its proportion of resistant starch from one to eight percent. "We started this project (partly) because the dietary fibers in wheat are not fermented very well," said co-author Devin Rose, assistant professor of food science and technology development. "By kicking in some more resistant starch, (we thought) perhaps we would see some more of those benefits that we would hope for from dietary fiber." Continue reading at UNL Today. 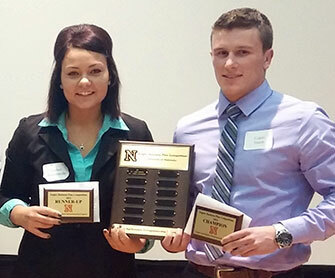 Logan Smith, a double major in agricultural economics and agronomy with a minor in entrepreneurship at the University of Nebraska-Lincoln, won the second annual business plan competition sponsored by the Engler Agribusiness Entrepreneurship Program. This program was developed to help students create businesses focusing primarily on agriculture and to increase free enterprise opportunities in our country. Smith won $4,000 and the opportunity to participate in the upcoming workshop "Pitching to Investors" led by Michele Weigand on Feb. 2-21, 2015 - a $350 value. Smith developed a business plan called Viper Variable Rate Fertigation, which uses a closed system to apply chemicals to production agriculture fields through the use of drone technology with variable rate application in center pivots. He has been working on this idea since coming to campus over two years ago. Smith has been working with Dakota Trailer Manufacturing to build the system, with the hopes of conducting trials this spring. Smith, from Yankton, S.D., grew up with a family farm and manufacturing background. His passion is to reduce runoff and increase efficiency, therefore profits, for producers around the world. The Agronomy and Horticulture Alumni Advisory Council held their inaugural meeting on Friday, Dec. 5, 2014 on UNL East Campus. The AHAAC is built on the voluntary participation of alumni with notable early and late career credentials. The mission of the AHAAC is to aid and counsel the head of the department in alumni engagement, financial stability, industry relations and student interaction with alumni. Members participate in a semi-annual meeting with the department and throughout the year as needed. The meeting held on Dec. 5, allowed opportunities for council members to interact with members of the department and the Institute of Agriculture and Natural Resources. Council members participated in student and faculty "fast break" sessions where 5-minute speeches were given on specific topics of an area of interest. In addition to the fast break sessions, council members had the opportunity to hear from Ronnie Green, NU Vice President and IANR Harlan Vice Chancellor, who shared information on the progress of the institute and anticipated changes taking place over the next few years. The AHAAC were also invited to attend the department's holiday luncheon to further engage with staff and faculty and experience the breadth and depth of the department. Roch Gaussoin, Professor and Head of the Department of Agronomy & Horticulture commented, "I see this as the beginning of a long and mutually beneficial relationship with our stakeholders. Putting the department in the position to have a meaningful interaction with alumni will be a tremendous opportunity for positive growth and relevance as an academic unit." The annual meeting for the North Central Weed Science Society was held Dec. 1-4 in Minneapolis. Department of Agronomy & Horticulture Assistant Professor Greg Kruger was honored with the Young Scientist Award and Lacy Leibhart, agronomy graduate student, won first-place in the Paper Presentation titled "Mechanism of resistance in 2,4-D-resistant waterhemp." Agronomy graduate student Rodrigo Werle won the Poster Presentation titled "ALS-Inhibiting Herbicide Dose and Plant Size Influence the Control of ALS-Resistant Shattercane Populations" and took second in the Paper Presentation. The Student Quiz Bowl team including agronomy graduate students Ryan Henry, Cody Creech, Rodrigo Werle and Debalin Sarangi took second-place. Rachel Stevens, a senior agronomy major, from Falls City, Neb. 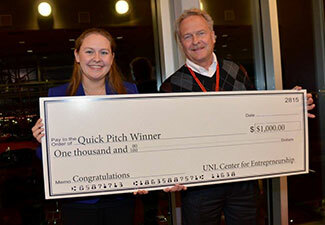 took home first place and $1,000 at this year's 3-2-1 Quick Pitch competition Nov. 6. This was the sixth annual competition by the University of Nebraska-Lincoln College of Business Administration Center for Entrepreneurship. Nearly 70 students had the opportunity to showcase their entrepreneurial, communication and presentation skills through a short "quick pitch" proposal to a panel of entrepreneurial experts from Nebraska. Stevens' Heartland Ag Consulting business plan involves crop scouting using unmanned aerial vehicle drones. The UAV takes images of a field in order to find out if the crop has disease, insect damage, or fertilizer deficiencies. Solutions, based-off that information, are then offered to producers and their operations. Stevens' business partners include her sister, Laura Thompson, currently a UNL Assistant Extension Educator, and brother-in-law, Nathan Thompson. 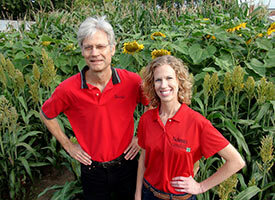 Stevens is advised by Agronomy & Horticulture Professor Don Lee. She is currently a teacher's assistant for Agronomy & Horticulture Associate Professor Dave Lambe and his business plan writing class, focusing on student ideas and entrepreneurship. The UNL Horticulture Club's annual poinsettia sale is Dec. 3 in the East Union and Dec. 4 in the Nebraska Union. The sale will run from 9 a.m. to 4:30 p.m. each day. The student group will sell three sizes and multiple varieties of the holiday plant. Sales of pink poinsettias will benefit breast cancer research. 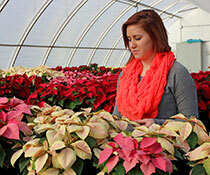 Horticulture Club students grow the poinsettias in East Campus greenhouses. For more information, send email to unlhortclub@yahoo.com. See also UNL Today. Anita Wingeyer has been awarded the 2014 Outstanding Postdoc Award - the first-ever winner from the Department of Agronomy & Horticulture. This award honors University of Nebraska-Lincoln postdocs demonstrating exceptional achievement in research, teaching, mentoring, innovation and service. Wingeyer shares the award this year with Chandrasekhar Natarajan, School of Biological Sciences and Yongbo Yuan, Mechanical & Materials Engineering. Wingeyer worked with John Guretzky, Martha Mamo, Walter Schacht, and Jerry Volesky from 2012-2014 on a demonstration project involving high stocking density grazing management, funded by the USDA-NRCS. She coordinated, managed and maintained all aspects of the project including setting up plant data collection points and soil sampling transects, mapping ranchers' fields using GIS, managing and organizing data, analyzing data, reporting and presenting at professional meetings, organizing workshops, communicating findings with ranchers and co-Principal Investigators at South Dakota State University and UNL. Wingeyer led the development of a research project to evaluate how intensive grazing management influence the spatial distribution of nutrient return from dung pat, urine, and trampled vegetation. This project forged collaboration with rangeland ecology, soil science, entomology, statistics, and process modeling. In addition, she mentored undergraduate and graduate students on their project or research. Wingeyer was nominated by Department of Agronomy & Horticulture Professors Mamo and Schacht, and Jeff Bradshaw, associate professor in entomology from the Panhandle Research & Extension Center. In recognition of this honor, Wingeyer received $1,000 and a commemorative keepsake presented at the Postdoc Awards Breakfast during the Fall Research Fair on Nov. 19. Wingeyer's husband, agronomy Ph.D. student Javier Crespo, and Mamo accepted on her behalf. Wingeyer recently accepted a position at Instituto Nacional de Tecnologia Agropecuaria, EEA, Paraná, Argentina as a lead soil scientist. 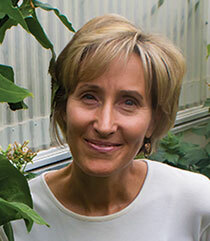 Her main scope of work is assessing the impact, vulnerability and adaptation of agricultural systems to climate change. Emily Levine, Special Projects Research Horticulturist with the Department of Agronomy & Horticulture and Fellow at UNL's Center for Great Plains Studies, earned a 2014 Nebraska Book Award in Non-Fiction for her edition of the manuscripts of Josephine Waggoner, "Witness: A Húnkpapȟa Historian's Strong-Heart Song of the Lakotas." The Nebraska Book Awards program, sponsored by the Nebraska Center for the Book, recognizes and honors books written by Nebraska authors, published by Nebraska publishers and set in Nebraska or concerning Nebraska. She was most recently selected by the Western History Association as the recipient of the 2014 Dwight L. Smith (ABC-CLIO) Award. The Dwight L. Smith (ABC-CLIO) Award is given biennially for a significant bibliography or research tool - either a book or other bibliographic/research tool publication, electronic or otherwise - on any aspect of the history of the American West. The two manuscripts that make up "Witness" were written during the 1920s and 1930s and offer a Lakota historian's perspective on Lakota and Dakota life. Josephine Waggoner, out of fear for her culture being lost, recorded the lives of her people and corrected much of the misinformation about them spread by white writers. The manuscripts cover the culture and history of the Lakota and Dakota during the second half of the 19th century as well as including 60 biographies of Lakota and Dakota chiefs based on firsthand experience, eyewitness accounts, and interviews. Levine edited the manuscripts and added scholarly apparatus including an introduction, afterword, and 100 pages of annotative notes. 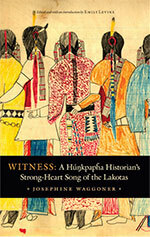 See the book at https://www.nebraskapress.unl.edu/product /Witness,675715.aspx or https://go.unl.edu/witness. Director of UNL's Center for Biotechnology, Daniel Schachtman, will present "Nutrient Sensing and Signaling in Plant Roots and Future Prospects for the UNL Biotech Center." The presentation, which is free and open to the public, is at 4 p.m., Nov. 12 in E103 Beadle Center. As the new director, Schachtman will highlight the current activities of the UNL Biotech Center, along with an outline for the future. Schachtman joined UNL's faculty in early 2014. 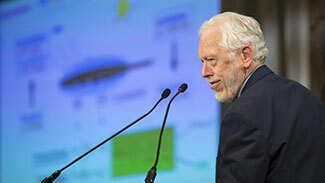 Previously, he worked as a scientist at Monsanto Co., as a principal investigator and full member at the Donald Danforth Plant Science Center and as a senior research scientist at Australia's Commonwealth Scientific and Industrial Research Organisation. Continue reading at UNL Today. Agricultural Research Division and College of Agricultural Sciences and Natural Resources have announced the annual fellowship recipients for 2014-2015. The following graduate students were recognized at a luncheon in October - Hardin Distinguished Graduate Fellowship awarded to Nonoy Bandillo, adviser A. Lorenz and Jason Danley, adviser D. Schachtman; Widaman Trust Distinguished Graduate Assistant Award given to Lacy Leibhart, advisers Z. Reicher and G. Kruger, and Pamela Pena Perdomo, adviser T. Clemente; John & Louise Skala Fellowship awarded to Matthew Pedersen, adviser R. Gaussoin; and Milton E. Mohr Fellowship awarded to Samantha McConaughy, adviser G. Graef. Congratulations! Mobilizing new data gathering capabilities to improve global water and food security is the subject of the sixth annual Water for Food Global Conference hosted by the Robert B. Daugherty Water for Food Institute at the University of Nebraska in association with the Bill & Melinda Gates Foundation. 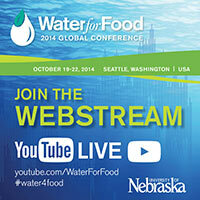 The conference, taking place in Seattle Oct. 19-22, is available via live stream. The event is the premier gathering of world experts working to develop new approaches to produce more food with less pressure on water resources. Department of Agronomy & Horticulture professor and leader of the Global Yield Gap and Water Productivity Atlas, Kenneth G. Cassman, is a presenter. Continue reading at UNL Today. UNL will appear at the 2015 National Collegiate Soil Judging Contest following a third-place finish at regionals on Oct. 2 in Ames, Iowa. The national contest will take place in the spring at the University of Arkansas-Monticello, where UNL hopes to unseat defending national champion Virginia Tech. At UNL, team members take a one-credit hour class. Depending on when the fall semester begins and when competitions are scheduled, the team has anywhere from one to five weeks to prepare and train before a contest. Soil Judging Team members include Department of Agronomy & Horticulture undergrad students Josiah Dallmann, Seth Gurley, Mark Keck, Rachel Stevens and Jared Williams. Continue reading at UNL Today. Dirac Twidwell, assistant professor and rangeland ecologist, will present "Eco-evolutionary Disturbance Regimes and the Conservation of Pattern and Process in Great Plains Ecosystems" at 3:30 p.m., Oct. 15 in the Hardin Hall auditorium. The seminar, which is part of the School of Natural Resources fall series, is free and open to the public. Human behavior has rapidly evolved from fire promoting to aggressively attempting to minimize its magnitude and variability. Today, nearly every region in the world enforces policies and laws that dictate when humans can ignite fires for the purposes of conserving fire-dependent ecosystem services. Continue reading at UNL Today. A new class studying the effects of water molds on soybeans will be offered through UNL's agronomy and horticulture department. Breeding for Disease Resistance, a case study on Oomycete diseases in soybeans, is available as a self-paced graduate course for one credit. The course fits the needs of traditional graduate students specializing in plant breeding and genetics, but also fits the needs of employees in the seed industry, who are earning a plant breeding and genetics professional certificate, and as a Continuing Education Unit for Certified Crop Advisers. Continue reading at UNL Today. Also see Learn more about distance education. The fall 2014 "Agronomy and Horticulture Seminar Series" begins with "Chicory - A New Crop for Nebraska: Trials and Tribulations of Developing Alternate Crops" at 3:30 p.m. Sept. 19 in Keim Hall, Room 150. 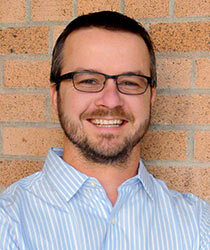 Robert Wilson, a UNL professor and extension weed specialist, will present the seminar. In 1995, Wilson began exploring the possibilities of showing farmers how to successfully grow industrial chicory. The seminar will give the background and what has been accomplished with chicory in the past 20 years. Continue reading at UNL Today. Seven UNL faculty have been awarded grants from the Robert B. Daugherty Water for Food Institute to provide stipends to students and postdoctoral fellows working on projects that contribute to a more water and food secure world. In total, the institute awarded 10 grants to University of Nebraska faculty. The grants program, which is in its first year, supports interdisciplinary faculty research while enriching the education of students who will one day be scientific leaders in the effort to feed the world's growing population with limited natural resources. The annual grants, totaling $310,000, will support two postdoctoral fellows and 11 graduate and undergraduate student research assistantships during the 2014-2015 fiscal year. The projects range from testing the drought tolerance of wheat roots through gene expression to deploying robots for aerial water sampling. 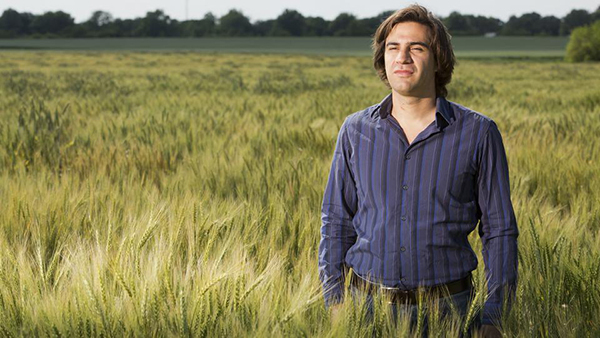 Patricio Grassini, assistant professor, for the project: Revealing the links between crop production, irrigation and inter-annual changes in groundwater levels in Nebraska. Graduate student: Kate Boone, UNL Agronomy & Horticulture. Harkamal Walia, assistant professor, for the project: Improving drought tolerance of wheat through more adaptive roots. 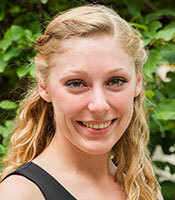 Ph.D. student: Sarah Blecha, UNL Agronomy & Horticulture. Continue reading at UNL Today. A new app will give high school agri-science teachers a tool for teaching biotechnology to their students. "The Journey of a Gene" is the product of a partnership between Iowa State University and the University of Nebraska-Lincoln. The project uses the example of soybean and the disease, sudden death syndrome, to illustrate the process of genetic engineering. The project began with a U.S. Department of Agriculture grant for more than $5 million titled "Transgenic Approaches to Sudden Death Syndrome in Soybean." ISU scientists Madan Bhattacharyya and Alison Robertson envisioned an extension component that would target agri-science teachers who also lead FFA chapters across the country. Bhattacharyya and Robertson thought an app that could be used on a smartphone or tablet would work best for teachers and their students. Robertson was familiar with UNL agronomy professor Don Lee's teaching in genetics and biotechnology, and they partnered with him and UNL's Plant and Soil Science eLibrary to develop and evaluate the app. Grace Troupe, one of Lee's graduate students, took the app development on as her master's project. She started with UNL and Lincoln programming experts and was led to Crowd Favorite, a small app development company. She used existing Plant and Soil Science eLibrary resources and worked with videographers to capture the work of scientists from UNL and ISU. 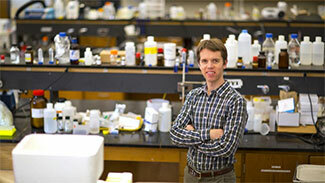 The app, at https://passel.unl.edu/ge/, shows "the real science behind genetic engineering," Troupe said. Continue Reading ThisWeek@IANR. Steve Mason, professor of agronomy and horticulture, recently spent two weeks as a Fulbright specialist in Columbia working with educators, business developers and producers looking for ways to improve the Columbian economy. The Corporación Biotec, an independent entity of the Universidad de Valle, Cali, Colombia, invited Mason to provide short-term training and assistance with positioning a Healthy Agriculture Seal (certification) for two industries. The first was with plantain production by poor farmers in the Department of Cauca and the second addressed potential for production of natural ingredients (largely from tropical fruit crops) for use in natural cosmetics in the Department of Valle de Cauca. Mason was in Columbia May 18-31 and used his 35 years of research and education experience in the United States, South and Central America, Europe and Africa with maize, sorghum, pearl millet, soybean and cassava to deliver training sessions. The sessions focused on models of various value-added systems of maize and sorghum production and use in the U.S. and Africa, and through discussion opportunities to transfer principles from these systems to plantain, tropical fruit and natural cosmetic ingredients. Participants included Corporación Biotec staff, farmers, rural community associations, university faculty and individuals from the private sector. 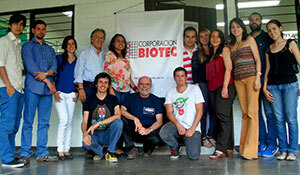 The training sessions and discussions concluded that the Corporación Biotec should increase emphasis in value-added production systems with special attention to market opportunities for these products. Commercialization of the existing Healthy Agriculture Seal (certification) may contribute economic benefits to producers, processors and consumers of these value-added agricultural systems. Mason recommended that Corporación Biotec adopt a new program emphasis on "research and innovation for value-added agricultural systems," which could provide a more central programmatic focus and increased potential for economic impact. Further, he recommended continued research and conversations between the industry and producers and also finding a way to integrate with the Columbian government's programs and financing. 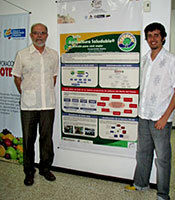 He wrote in his Fulbright report that, "Corporación Biotec is well positioned to identify and develop improved cultivars for these products, then to collaborate with community/farmer associations and technical production specialists -¦ to develop and implement best management practices, including regulations for use of the Healthy Agriculture Seal." Mason has agreed to serve as a liaison between the Corporación Biotech and the University of Nebraska and the broader U.S. university community for potential faculty and student exchanges. He states that "The two-week Fulbright specialist assignment was a great learning experience for me, and hopefully useful to the Corporación Biotec," and he encourages other departmental faculty to consider participating in the Fulbright Specialist Program. The United States Department of State sponsors and supports several different programs, including semester to year-long educational exchanges for U.S. students and faculty and the Specialist Program for short-term (two to six week) projects. In addition, the Fulbright Specialist program provides for exchanges to address identified educational needs. 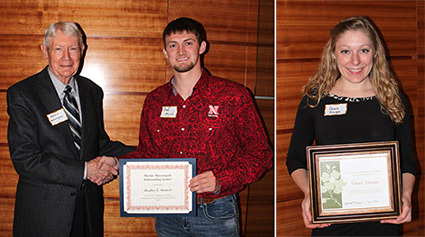 Recipients of Engler Agribusiness Entrepreneurship Scholarships at the University of Nebraska-Lincoln for the 2014-15 academic year have been named. Undergraduate one-time award winners include Kelsey Foster, sophomore, Berwyn, horticulture and Melinda Knuth, junior, Hartford, S.D., horticulture. Undergraduate renewable scholarship award winners are Sam Morse, freshman, Columbus, agronomy; Joe Duba, senior, Wilber, agronomy; Doug Grotrian, senior, Johnson, agronomy; and Rachel Stevens, senior, Fall City, horticulture. Scholarships are awarded in two different categories - undergraduate scholarship renewable awards of up to $10,000 per year and one-time scholarships of up to $4,000. These scholarships recognize high achieving students who bring an entrepreneurial spirit to the marketplace, focused primarily on business development in all areas of agriculture. Established in 2010 by a gift from the Paul and Virginia Engler Foundation, the Engler Agribusiness Entrepreneurship Program offers an academic minor focused on business plan development, professional skills development outside the classroom, relationship building, leadership and service, as well as developing international entrepreneurship. Disney World Epcot® in Orlando, Fla. The UNL Horticulture Club is an active organization both on and off campus. Members of the club are students who share a passion for plants, both ornamental and edible. Students actively produce and market plants, network with professionals and travel to different destinations to learn more about the commercial production and use of plants. According to Horticulture Club officer Erin Kinley, the club is a lot of fun and it also helps students prepare for long-term goals. "Many of our students have found internships through the people we've met on trips," said Kinley. "It helps members explore a variety of areas within horticulture, which can be valuable for students who are undecided about a career path." The club holds two plant sales annually, a poinsettia sale in December and a spring sale in late April. Students do everything to prepare the plants for sale, from seeding, transplanting and daily care, to marketing and delivery. Along with the traditional red poinsettias for the holiday season, the club grows and sells pink variations to benefit breast cancer research during their December sale. The spring sale offers a variety of annual bedding plants, vegetables, herbs and ready-made planters for buyers to enjoy. Every year the Horticulture Club takes trips to different destinations of horticultural interest. 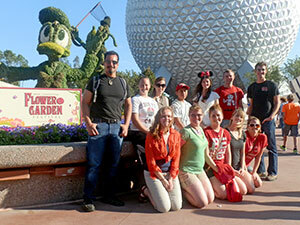 This year the club traveled to Florida over spring break to tour gardens, landscapes, orchards, and greenhouses. The group flew into Orlando and kicked things off with a tour of Leu Botanical Gardens. This 50-acre botanical oasis in downtown Orlando features a wide array of temperate and tropical plants typically only found in USDA Zone 9 and has over 30 extensive plant collections including a butterfly garden, a citrus grove, an arid garden, and an azalea collection. Associate Professor and Horticulture Club Adviser Stacy Adams said the spring trip to Florida was a tremendous opportunity to see tropical plants in their natural habitat and explore horticulture career opportunities we are not familiar with in Nebraska. "Not only did we learn a lot, but we had fun as a group and that has created long lasting friendships," said Adams. Students visited the natural tropical landscape of Kelly Park before experiencing an Orlando farmer's market, complete with a sampling of the local produce. They toured Lukas Garden's expansive nursery which provided insight into year-round marketing techniques, such as their indoor butterfly garden. After all this activity, the group spent an afternoon at Coco Beach to rejuvenate. The following day started with a tour of Mercer's Botanicals, a sustainable greenhouse producer of foliage plants. The next stop was at Dewar's Nursery, a grower of over 1.5 million Knock Out Roses, which were in production at the time. That same day, students got a behind-the-scenes tour of Busch Gardens by the lead horticulturist. They gained knowledge about creating artistic gardens, topiaries and natural habitats for zoo animals. display at Walt Disney World Epcot®. 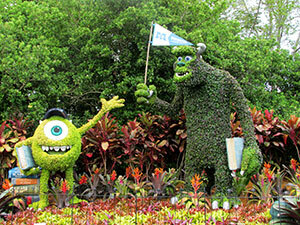 The final stop on the trip was Walt Disney World Epcot® for a visit of the annual Garden Festival. The festival featured meticulously planned and executed topiaries and detailed flower gardens. Every landscape was designed to tell a story and utilized the most advanced horticultural techniques in the business. All topiaries have to meet the standards and approval of Pixar and Disney, making this a truly world-class horticultural exhibit. The UNL Horticulture Club finds ways to explore some of the finest horticultural destinations in the United States while having plenty of fun along the way. The club is open to all UNL students, regardless of major. Anyone interested in horticulture and looking for a way to expand their knowledge can email unlhortclub@yahoo.com to register as a member or check out the club's website. 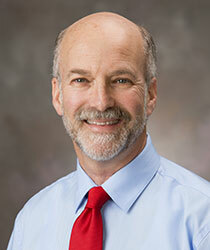 Daniel Schachtman, professor of agronomy and horticulture, is the new director of UNL's Center for Biotechnology. Schachtman's appointment is effective July 1. He succeeds Deb Hamernik, associate dean of IANR's Agricultural Research Division, who served as interim director since July 1, 2013. The center director is responsible for developing and implementing a vision to support excellence in life sciences research, fostering interdisciplinary research collaborations in the life sciences and building a community of life science research excellence at UNL. Continue reading at UNL Today. Manipulating how plants express their genes holds the promise of higher crop yields and better performance under drought or other environmental stress. University of Nebraska-Lincoln plant scientist Sally Mackenzie is harnessing her breakthrough to improve crops important to developing countries. Mackenzie discovered that using a transformation technique to turn off a specific gene found in most plants stunts the plant's growth. However, crossing this reprogrammed plant with an unmodified plant produce progeny with greatly enhanced growth, even under stressful conditions. In a variety of crops these enhancements translate into up to 35 percent higher yields, said Mackenzie, the Ralph and Alice Raikes Chair of Plant Sciences and a member of UNL's Center for Plant Science Innovation. Continue reading at ThisWeek@IANR. Chengchou Han, an agronomy graduate student, took second place and was awarded $500 in the third annual New Venture Pitch Competition on April 21 in Marysville, Mo. Thirty-eight teams of students pitched their real-world business ideas to judges and business professionals during the competition held at Northwest Missouri State University. 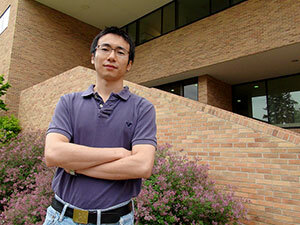 CornSoyWater, the pitch by Han derived from his Ph.D. project, involved a web application (/cornsoywater) that provided real-time data to help corn and soybean producers determine when to irrigate their fields. He competed as part of UNL's AGRO 888 class, Business Management for Agricultural Enterprises, taught by Associate Professor Dave Lambe. "This is our first attempt to compete regionally with the class and I was pleased to have Chengchou do so well with over 30 other teams in the competition," said Lambe. The New Venture Pitch Competition aims to bring together future or current entrepreneurs and small business owners to provide educational, informational, and networking opportunities. Judges ranked teams on the effectiveness and persuasiveness of their presentations, the innovativeness and quality of their ideas, the competitive advantage of their proposed businesses, effective discussion of financials and proposed management teams. Ultimately, judges based their final decisions on how likely they would be to invest their own money in the proposals. Teams participated in one of two competition tracks. Winning teams received over $12,000 in prizes and $2,300 toward the startup of a new venture. According to Han's adviser, UNL Associate Professor Haishun Yang, CornSoyWater aims to help crop producers improve irrigation water use efficiency, and increase farm profitability. CornSoyWater will provide estimations of real-time available soil water, and recommend the timing and amount of irrigation water to apply to given corn and/or soybean fields. CornSoyWater is being built based on an existing irrigation decision-making web app, SoyWater /soywater, developed by agronomists and app developers at UNL to help soybean producers schedule irrigations and apply best agronomic practices. To date, SoyWater has more than 800 active users. Han said this project has been made possible because of the faculty and staff in the Department of Agronomy & Horticulture which include Lambe, Yang, Greg Kruger, Patricio Grassini, Ken Cassman, and Jim Specht, along with Extension Educator Gary Zoubek, Associate Extension Educator Jenny Rees, Derek Heeren of Biological Systems Engineering, Martha Shulski and Ken Hubbard from the School of Natural Resources, and Jessica Torrion from Montana State University. "I feel it's important for irrigators to utilize the science and research available through the latest technology. I will do my best to work on the development of CornSoyWater," said Han.